1) When and how did you get into hockey? A: I’m an East Texas girl- so we didn’t have hockey where I grew up. When I came to the DFW metroplex for college, I was soon introduced. When I was a freshman on my college dance team, we got the opportunity to make an appearance for our school at a Stars game intermission and I’ve been hooked on hockey ever since! 2) Who is your favorite hockey player of all-time? 3) What are some of your hobbies and interests? A: I love visiting my family in my hometown, doing anything outdoors, and listening to live Texas country music. 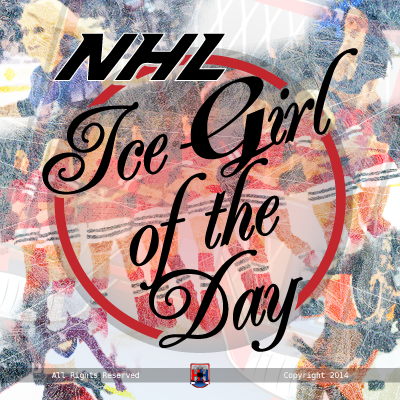 4) What’s the best thing about being an NHL Ice Girl? A: The sisters that I’ve gained as a DSIG is something I will forever cherish. Having 40+ games together along with practice twice each week, we get really close! 5) Did you play organized hockey growing up or if not would you be interested in learning to play? A: I didn’t play growing up, but I did play multiple other sports so I would definitely love to learn! 6) How many seasons have you been an NHL Ice Girl? 7) What do you love the most about hockey? A: The fans of hockey are like no other sport out there. I love their passion for the game! 8) What would be your dream job? 9) How would you describe yourself in 3 words? A: Caring, creative, and kind-hearted.